Obama has a chance to vigorously pursue a new era at the agency of tough enforcement and the implementation of strong new rules on Wall Street behavior. 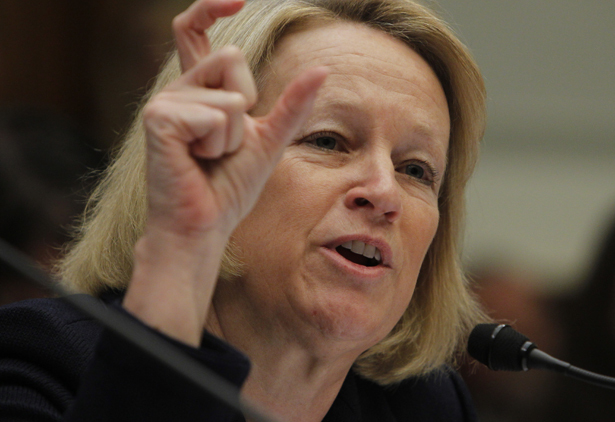 Securities and Exchange Commission chairman Mary Schapiro’s departure, expected for months and announced today, creates an opportunity to vigorously pursue a new era at the agency of tough enforcement and the implementation of strong new rules on Wall Street behavior. But who should that new chairman be? The White House said it will elevate Elisse Walter, a current commissioner, to the chair’s spot, but that can last only until the end of 2013 because the administration is not naming her permanent chair and not seeking Senate confirmation. It is likely, I’m told, that a different chair will be named, possibly within weeks. 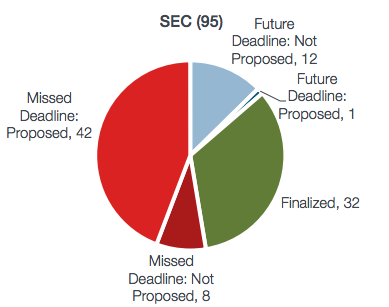 Advocates of strong financial reform say that to understand what is needed in a new SEC chair, one needs only to look at where, and how, Schapiro fell short. And in their view, she fell quite short. These are the twin goals that most reformers agree the SEC must embrace in the years ahead: making sure Dodd-Frank is implemented strongly without undue influence from the financial industry, and pursuing enforcements that create a real disincentive on Wall Street towards destructive behavior. The fact that the House of Representatives remains a presumably closed door to any significant financial reform over the next two years, at least, only elevates the importance of the SEC. While Schapiro did overhaul the SEC’s enforcement division, appointing former federal prosecutor Robert Khuzami to lead it and filing dozens of cases related to the financial crisis, it was consistently criticized for failing to win big penalties and failing to prosecute high-ranking executives. “The Schapiro legacy, is what I would call ‘delayed and diluted’ on Wall Street reform,” Naylor said. The most important piece of the Dodd-Frank legislation yet to be implemented is the Volcker Rule to restrict banks from making speculative investments with customer money. That, by the way, is officially dead until the White House either names a new chairman or adds another commissioner, since Schapiro’s departure on December 14 will create a four-person commission presumably deadlocked on partisan lines. So the White House must act quickly, and there will no doubt be massive industry pressure on Obama not to appoint someone who pushes for fair rules and tough prosecutions. Naylor, though, said he was heartened by recent White House appointments to the FDIC and OCC, and noted that Wall Street has less leverage now: “This time, industry can’t threaten Obama’s re-election,” he said. Several other important positions will soon be up for grabs. Last week. William Greider proposed Ben Bernanke for Treasury Secretary.